Whether industrial workers, firefighters or soldiers – professionals operating in high-risk environments deserve the very best in high-performance workwear. Clothing that provides exceptional thermal protection and flame resistance, as well as allowing users flexibility, breathability and comfort. Clothing that lasts and offers exceptional tear and abrasion resistance in challenging environments, time after time, without fail. At Teijin Aramid, our solutions help provide all this and more. 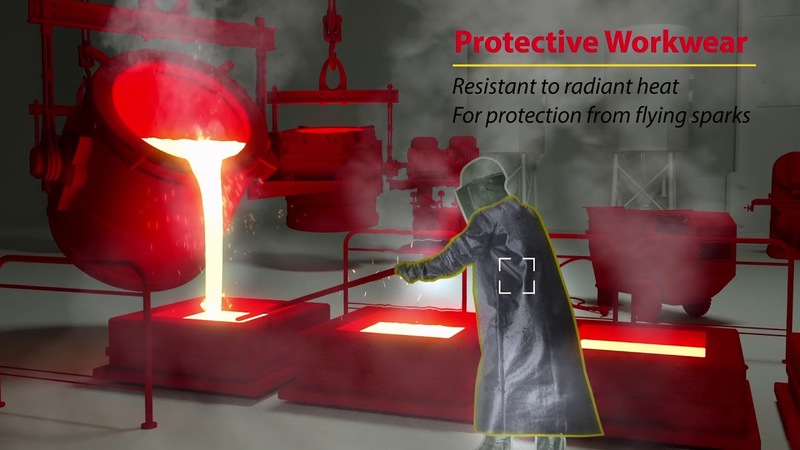 Our high-performance aramids, Twaron®, Teijinconex® and Technora®, take safety to a whole new level by significantly enhancing the resistance, durability and strength-to-weight ratio of protective jackets and other garments. Garments reinforced with our fibers offer outstanding resistance in temperatures of up to 400°C, without compromising the agility, comfort or movement of the wearer. So, when the heat is on and the flames are rising, our materials never fail to perform. Of that, you can be sure. But it’s not just our materials that are adding value. Around the world and across industries, organizations rely on Teijin Aramid and regard us as a true strategic partner. Day after day, our experts are empowering our customers with knowledge and ideas that enable our them to better serve their own end-users. Month after month, we are supporting them with high-quality products and first-class, reliable delivery. Year after year, we are helping them drive innovation by giving them the flexibility to adjust their specifications as needed. In return, our customers reward us with their continued loyalty and respect. Every situation – and every wearer – is different. This is why, at Teijin Aramid, while garments made from our fibers fully comply with all common international standards, we are able to tailor our solutions to your specific needs. So, your end-users get the right solution – every time, without exceptions. 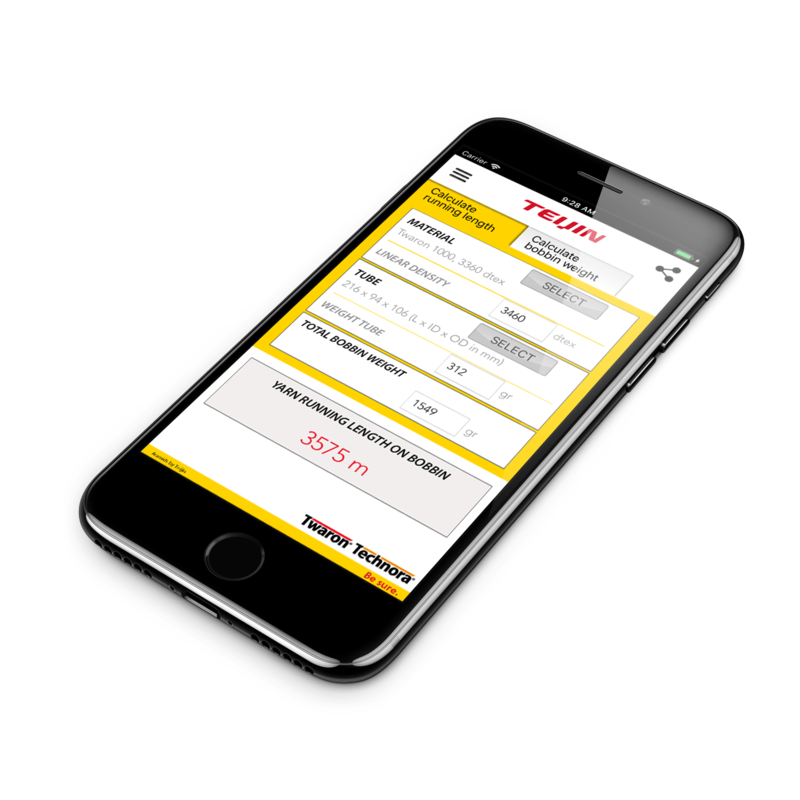 Better manage your yarn usage for different types of Twaron® and Technora®, as well as for different bobbin tubes, with our free-to-download ‘Running Length Calculator’ app. With accurate weight-to-length and length-to-weight calculations at your fingertips, you’ll always know how much yarn length you require for a given production run. It means you can plan ahead, minimize waste and maximize your production efficiency. Win, win, win. Professions don’t come much tougher than firefighting. And firefighters don’t come much tougher than Germany’s Joachim Posanz, veteran professional and regular participant in the Toughest Firefighter Alive competition. After 20 years in the business, Joachim has seen it all. So, when it comes to turnout gear and protective clothing, he’ll only use products made with Teijin Aramid’s materials.